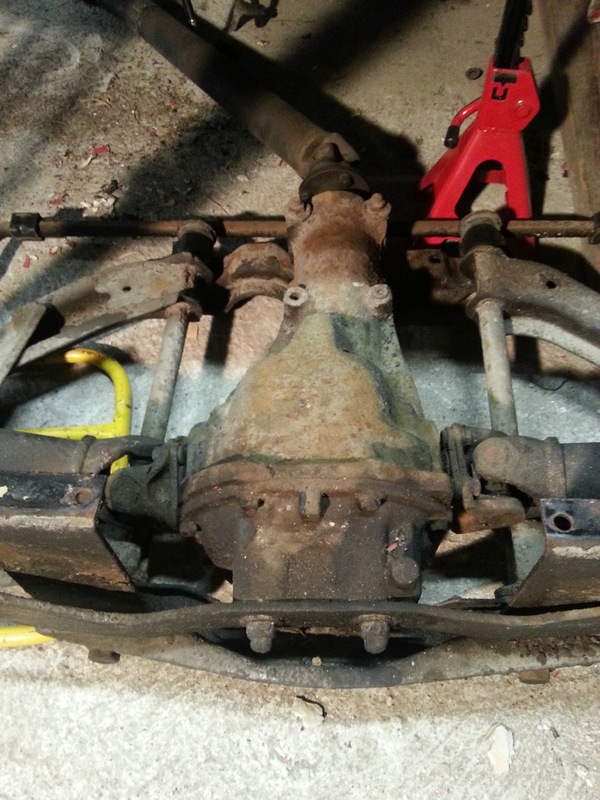 The suspension assembly has a bit of surface rust all over and pitting in the lower control arms. I will attack the parts with wire wheel so I can assess the damage the rust have caused and what needs to be replaced. As a side note the shell of the car is very light! 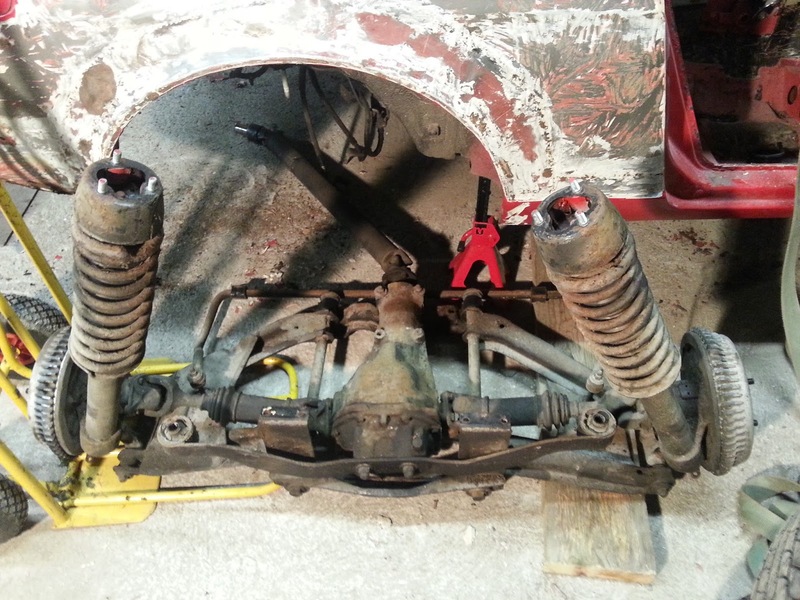 One can lift the rear end if you put your back in to it and front end lifts with one arm. So weight/power ratio should be fun! My girlfriend still continued with the paint work or rather taking it off. She still encountered very heavy layers of body filler. 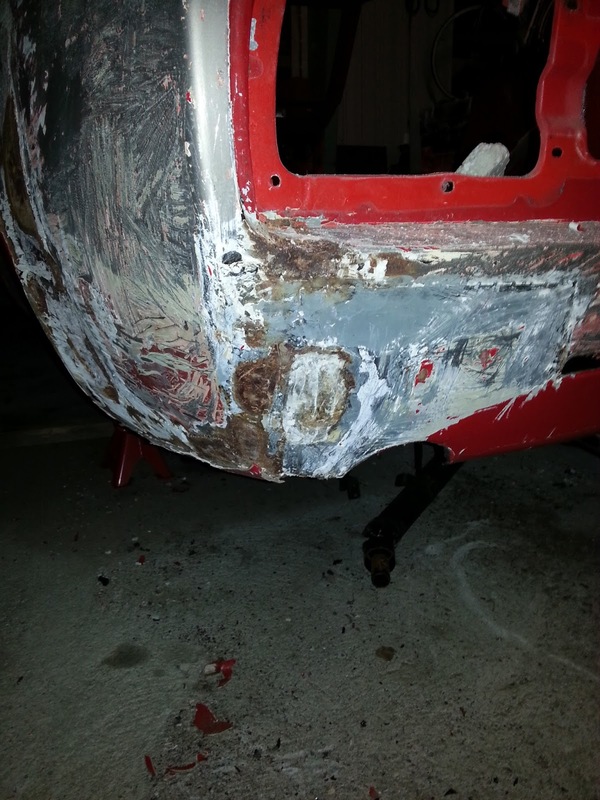 Also rust spots and holes were found... Surprise, surprise! 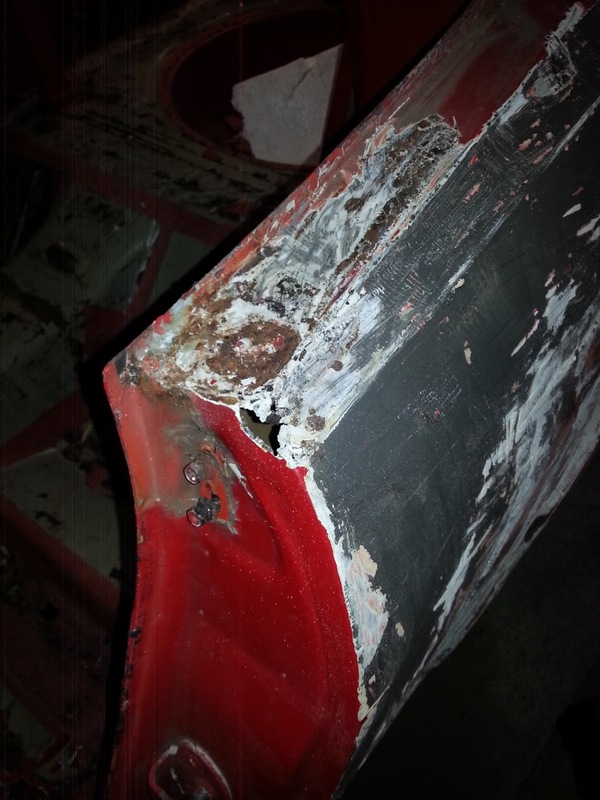 There is very big dent or hole in the rear valance. Might be that the easiest fix is to cut the whole valance off and make a new one. That way the right side would also get fixed, because that side has received a hit some time in the past. A hole in the left door opening. This was covered with layers upon layers of paint and body filler. Nice workmanship they do in Germany... Well car still is in reasonably good condition as a whole and for its age! Next weekend my goal is to finalize the deassembly and take boot lid off along with boot glass and windscreen. That should be fun and I also will try to get the rotisserie made. I guess that taking the suspensions apart would also be mighty helpful and good work. So there is still lots of work to be done!